The sun was going down as my fiance and I jumped out of the car, slamming the doors behind us. 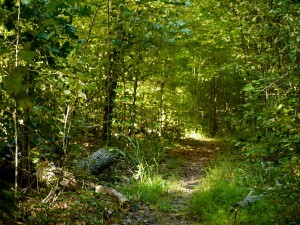 Cars whizzed past me on Route 98, but I hoped to quickly leave them behind and have some quiet time deep in the woods. Slinging a camera over my shoulder, I checked to make sure we were all set, and we headed down the path and into the trees. 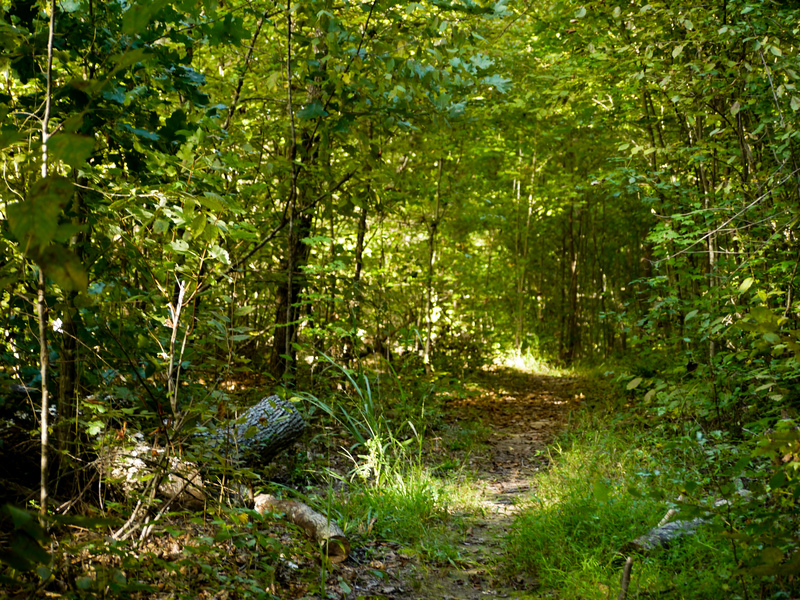 One of the best parts about forests is their ability to cut noise. Soon the sound of traffic was gone, replaced by the croaking of a Great Blue Heron and the buzzing of Tufted Titmice. Because the sun was making its descent, the sunlight angled through the branches before making dappled patterns on the ground, creating an evening glow. Everything was gold and emerald and copper. Well, almost everything. 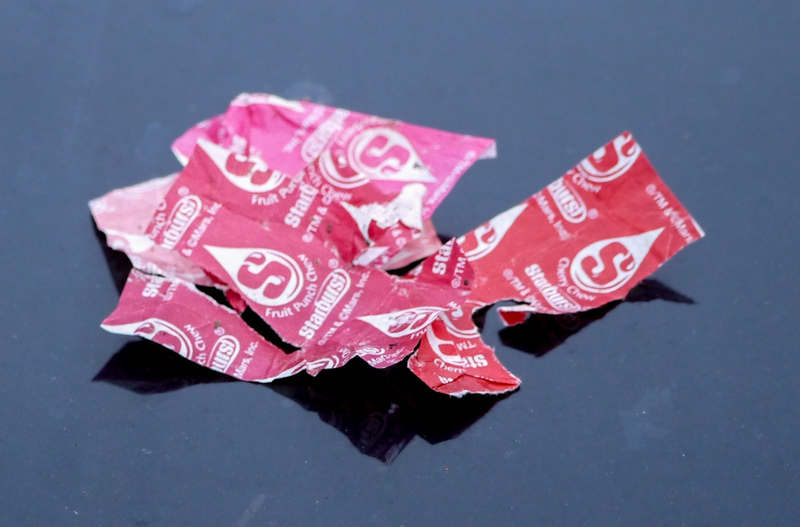 A few hundred feet from the road was a bright, neon-pink Starburst wrapper. 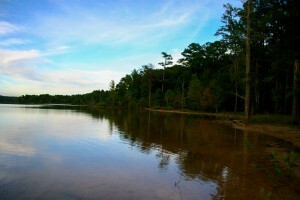 Surrounded by the natural scenery it was hard to ignore, and I found myself frowning. Though the wrapper was jarring, I made a mental note to pick it up on the way back and moved on. I tried to forget about it, but 100 feet later there it was again! A Starburst wrapper, red this time but still sticking out like a sore thumb. As we continued, I would lose myself in the beauty of the outdoors, and then be reminded of human presence with yet another wrapper. Someone had clearly been eating a package, throwing the wrappers out as he or she walked. Yuck. Eventually the wrappers stopped, and it was almost a relief. The environment on either side of the trail looked pristine. A tiny red toad hopped across our path, a giant fallen log played house to a thousand small mushrooms, the breeze stirred the leaves above us, a last gasp of green before the fall colors begin. Every so often there would be a break in the woods and we could see to the water beyond, an extension of Falls Lake and shining. We continually heard the calls of the Great Blue Heron and the additional high-pitched cries of a flock of Killdeer. To investigate, we veered off the trail to have a better look at the water. Oh man was human impact obvious then. There were beer bottles, soda cans, wrappers, sneakers, and a television. Yes, a giant television. 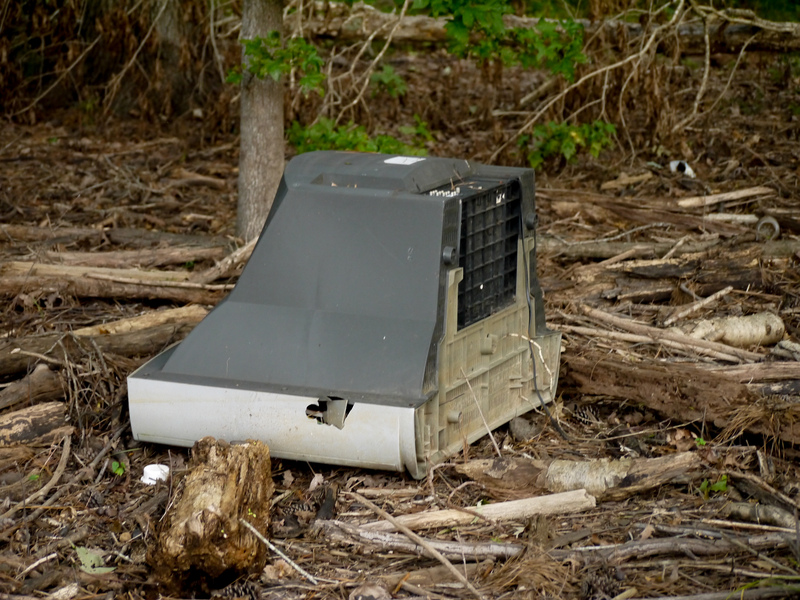 While the television remains a mystery for me, the other trash probably floated to the edge of the water during times of high rain or flooding. One thing was for sure, it was everywhere. Still, it did not dominate the scene. The sun was setting now, giving the sky a rosy glow. The water was calm and shallow, and when we dipped our toes in it was warm as well. A Great Egret fished on the opposite shore, a pair of woodpeckers argued with each other in the trees behind us, and a large flock of crows flew silently overhead. As the sky dimmed we began to head back to the car. Though I had loved every minute of being outside, I couldn’t quite forget the litter. I picked up the Starburst wrappers, collecting the shades of pink and red in my hand. As a student at the Nicholas School, I know a lot of like-minded students who would be equally bothered by the trash at the edge of this small corner of Falls Lake. Moving forward in the semester, I hope to organize a clean-up of the area, recycling what can be recycled, while safely discarding the television and other trash products. 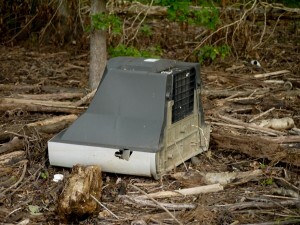 We humans left the litter, and we should clean it up!